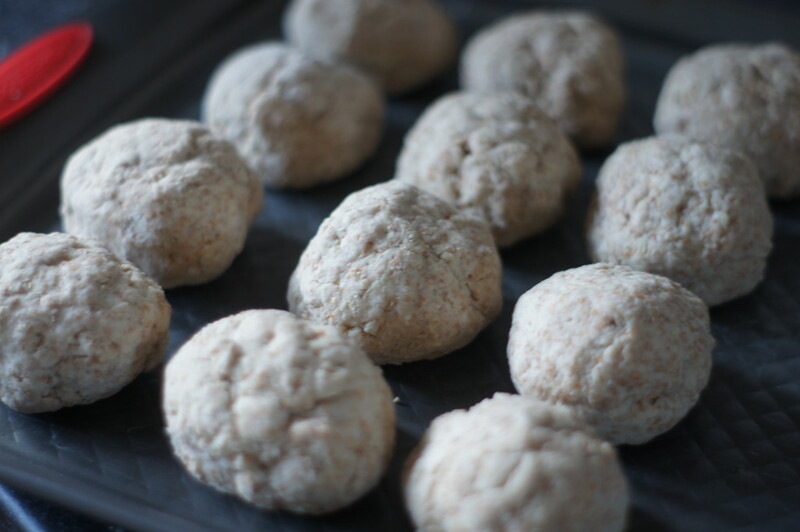 This recipe will make 12 small rolls. You’ll need a greased baking sheet. 1) Preheat the oven to 200°C/fan 180°C/gas 6. 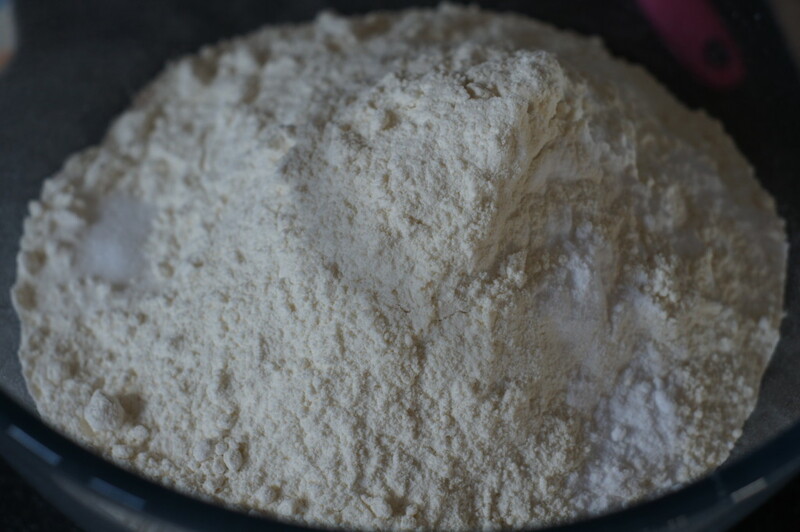 2) In a large bowl, thoroughly mix together the flours, salt and bicarbonate of soda. 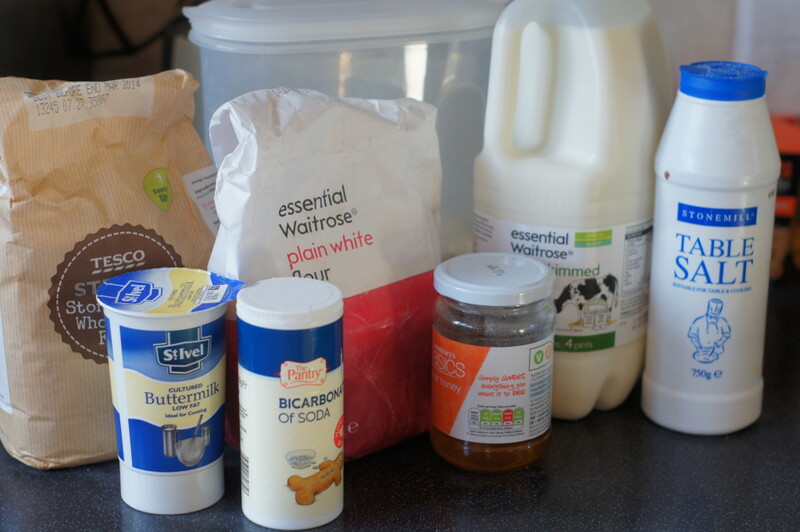 3) Make a well in the centre, add the honey, buttermilk and milk, then stir until incorporated. Use your hands to bring it all together to form a smooth, wet dough. 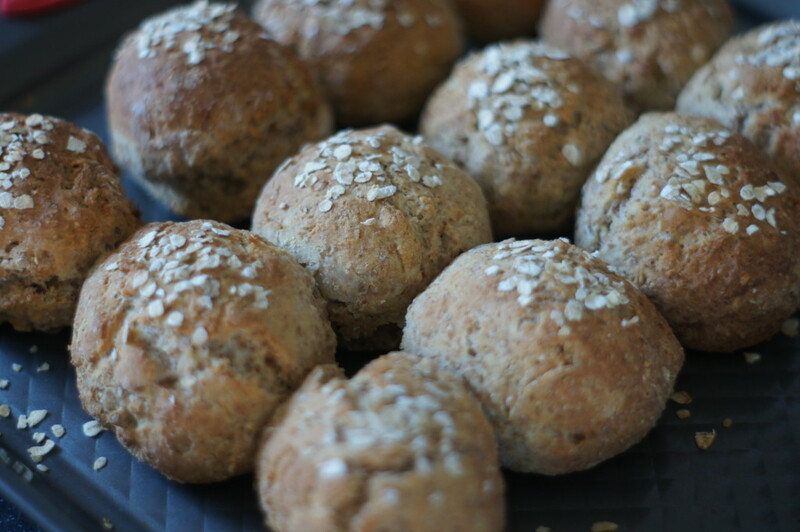 4) With lightly floured hands, shape into 12 rolls and put on a greased baking sheet, so the rolls are almost touching. 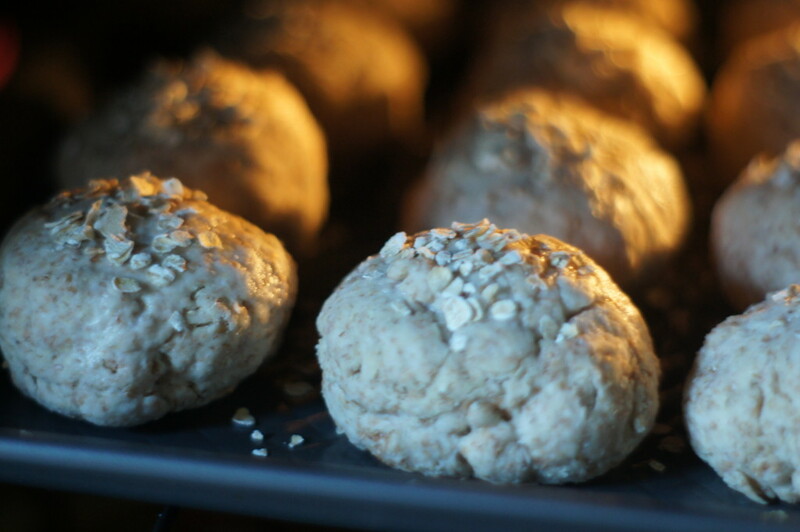 5) Brush each with a little milk, scatter with a few rolled oats, then bake for 20-25 minutes until risen and golden brown. 6) Cool on a wire rack.